The Kwara State University (KWASU) has introduced a mechanism that will enable professors who have won the institution’s Professional Achievement Award to earn bigger wages than what exists under the current University Salary Scale, as agreed by the Federal Government and the Academic Staff Union of Universities. 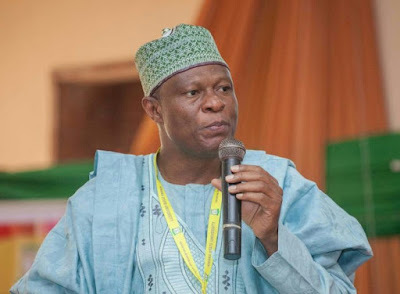 The Vice-Chancellor of the Institution, Prof. Abdulrasheed Na’Allah, made this known during a reception for the winner of the maiden edition of the award, Prof. Kazeem Gbolagade, held on last Thursday at the Institution’s main campus in Malete. Announcing that the maximum level for professors under the salary scale is Level seven step 10, Na’Allah said that KWASU professors, who merited the PAA, could earn higher salaries, depending on the availability of funds. The Vice-Chancellor described the PAA as a post-professional review process designed for keeping professors active and productive in the tripartite areas of teaching, research and community development, saying that to qualify for the PAA, except in exceptional or accelerated circumstances, a full professor must have spent a minimum of three years as a member of the academic staff of the university. Na’Allah also explained that there must not necessarily be one winner of the award, adding that applicants who meet the criteria could all become winners. He said, “Henceforth, through the Centre for Innovation in Teaching and Research, KWASU will be holding this ceremony to recognise those that have met the criteria for the award. We shall recognise them by giving them a plaque, celebrating them and by ensuring that when budget permits that they are rewarded financially by permanently increasing their salaries. “In public universities, most of us use the Federal Government-ASUU agreed salary structure. If you are a full professor, you are in Seven Step 10, which is the highest you can go. But professors in KWASU do not have a limit as long as they are productive and they do great work.